Has a decent UI and good functionality. But it doesn’t work. Every few days it stopped working and I would have to set it up again. Settings were all there, but my phone had to reconnect. That for me was the final straw. One of those times I had to completely set it up again. But I had lots of other concerns: my netgear router would get unstable if I used it too much. I wasn’t absolutely sure it caused the instability, but it made me nervous enough I kept my configuration really simple. Also my daughter eventually figured out the password to a neighbor’s WiFi, which made all the protections useless. As far as I can tell, there are no good parental controls out there. Works great for our family. Very few hiccups. Circle Go works great. I only wish the YouTube filtering was a little more granular. It doesn't limit screen time at all and the setup and identifying devices is stupid labor intensive. Disney should pay me to use it. Sorry, not gonna make it past the trial period. 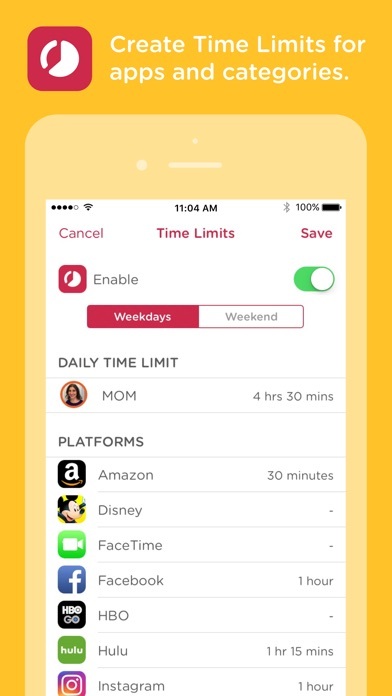 The apple devices have their own parental controls that are effective and easy to implement. Be warned- merely deleting the app leaves the restrictions in place. Deactivate the app before deleting! Better yet, don't download it at all. Circle has not been connecting when I need to unpause or pause a user. I’ve had to “locate” the Circle multiple times when this happens. Very annoying and there is clearly something wrong with your code. Please fix it or I will need to dump this device and replace with something that works better and more reliably. 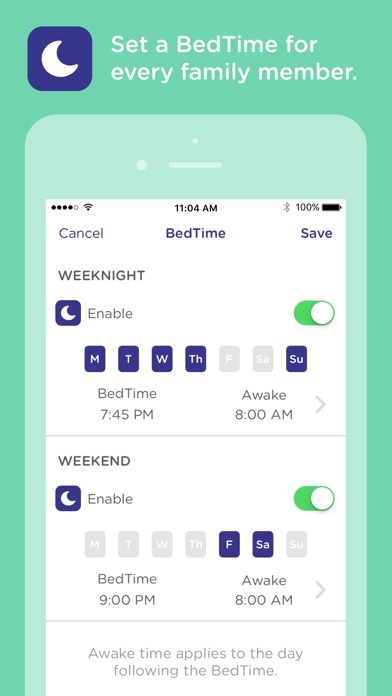 First off, as I told my kids when we got this device: it is not a substitute for parenting. It’s a tool to stop them from accidentally stumbling on adult content and to warn them about spending too much time on their devices. 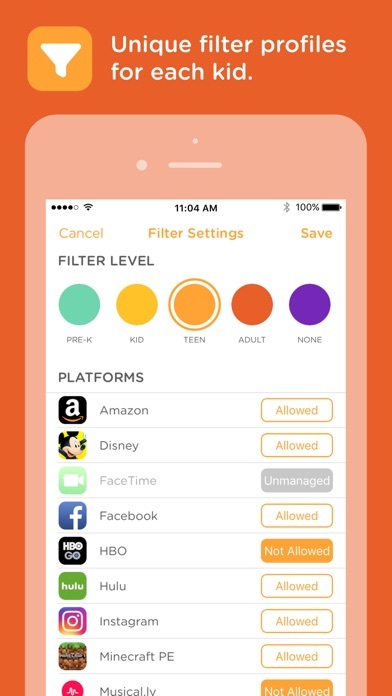 I still have parental controls on my children’s devices so they can’t download whatever they feel like and I talk with them as well. Again, this is not a substitute for parenting. As far as the device goes, we’ve had it for about a month and so far it’s working great. It was easy to set up and all of the features have been working. We also bought the circle go subscription and it’s working great as well. Best solution I’ve used yet. What is the point of this app when as soon as the down times are active, u can switch over to cellular data and continue on!?! My kids figured this out in about 30 seconds!! This is not the way it used to be with this app. Oh wait. That's right cuz it was circle go....u don't support that anymore. I almost purchased this app for the year. Glad I didn't and only wasted 5 bucks! 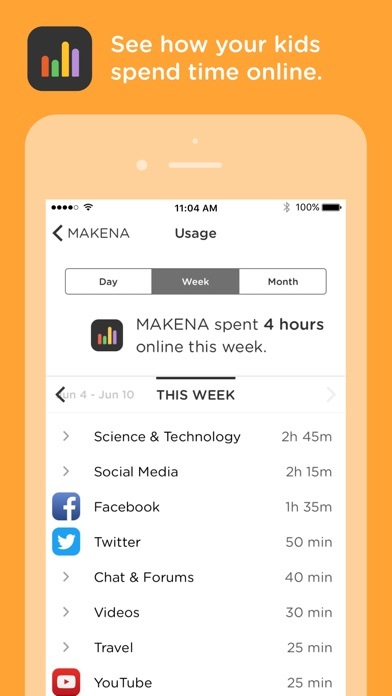 Guess it's back to Apple's screen time settings. As of 4.10.19 no longer supporting mobile phones... unless they are connected to supported network at the time. 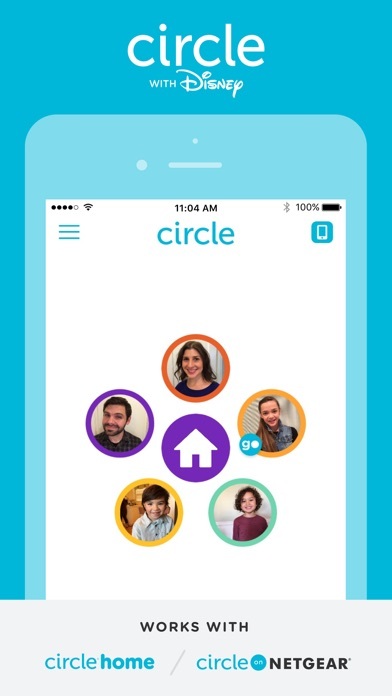 However, there’s still reference to Circle Go in the Circle app. Glad I got this less than 90 days ago so it’s not too late to return it. We had an older netgear router and circle supported it on only 2.4ghz instead of the full dual band, and the circle device couldn’t be plugged into the router. We got a new router, and we’re happy to report that circle works great. There is no slowing of the internet, circle plugs right into the router. Love it!